Yorkshire Chorizo featured on TV in the BBC2 series “One Man & his Campervan”. Martin Dorey travels the length and breadth of the UK seeking out the best campsite locations for his VW Campervan and the best local food to cook on his campervan’s 2 gas rings! 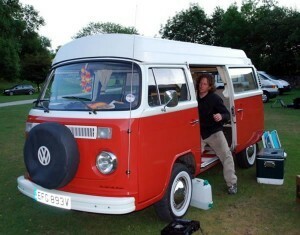 Martin is the author of The Campervan Cookbook.